As a Windows Administrator there will be some situations that you will need to restart or shutdown all office computers. 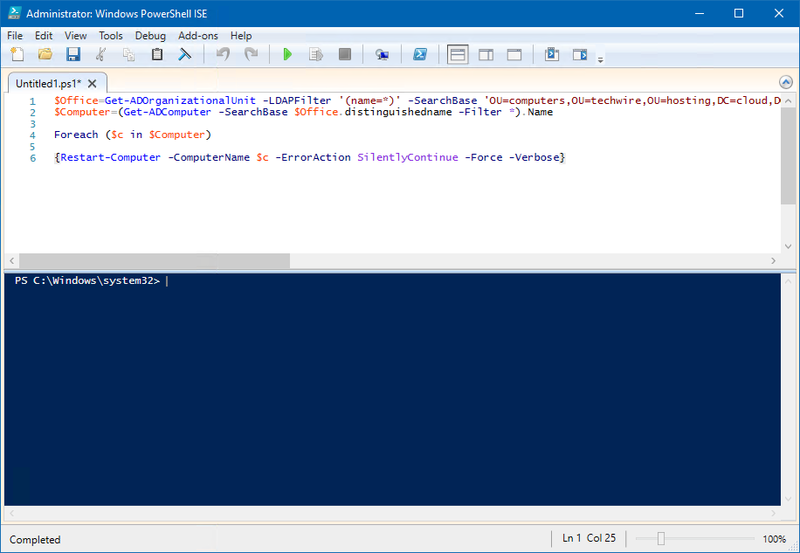 In this article I’ll will show you a few examples how you can restart or shutdown remote computers with PowerShell. Note: the Out-GridView command after the pipe gives you the possibility to select the organizational unit in a graphical interface. When you select the organizational unit and click on OK, all computers in the selecting organizational unit will be restarted. 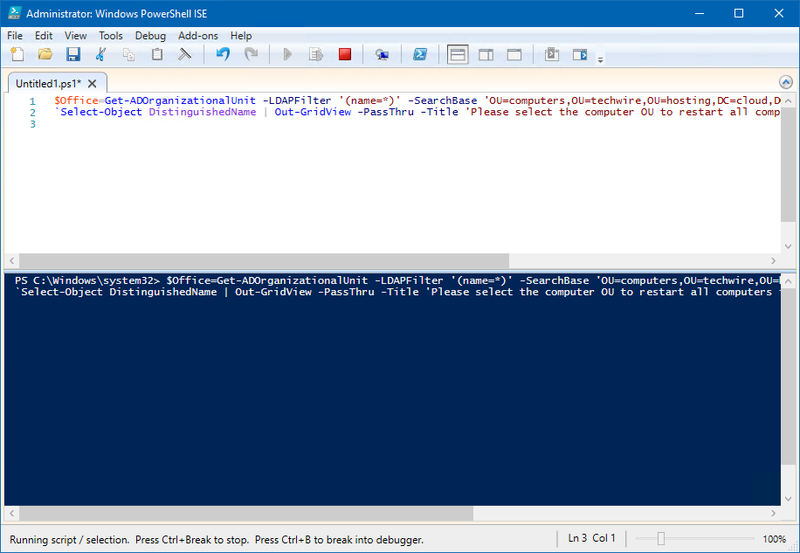 In this article I’ll have show you a example how you can restart or shutdown remote computers with PowerShell.